Seriously, how else could Mattel sell more Hot Wheels? Take their hottest casting of the past half-decade, give it a killer paint job, and stick it in a 5-pack with three fantasy cars and one so-so Chevy truck. It took me a couple of months to track one down. 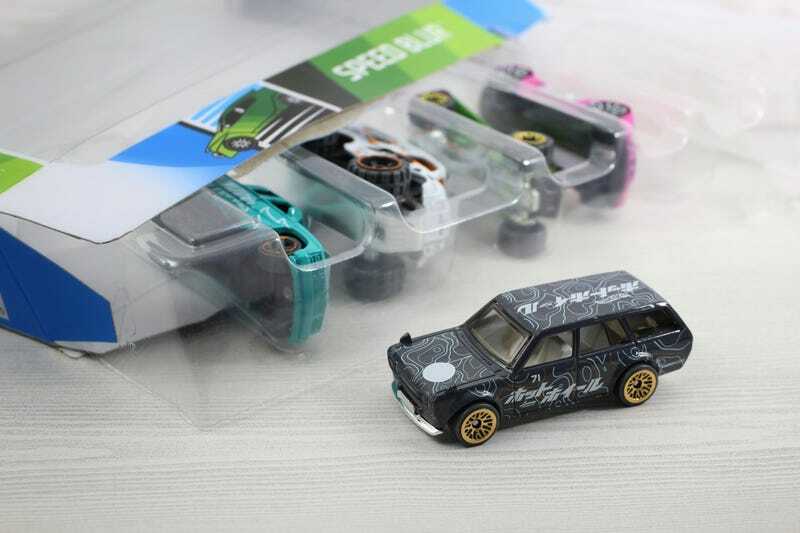 Definitely the best iteration of the legendary 510 wagon since the blacked-out Japan Historics release back in 2016. The gold lace wheels are wrapped with dark grey tires, similar to the ones found on the ‘64 Chevelle. They just pop on the Bluebird’s grey paint and bounce off the pale blue line designs. They slapped a racing meatball on the hood, then called it a day. Its definitely worth the price of admission; I got a sweet Datsun and my boys got four more toys.